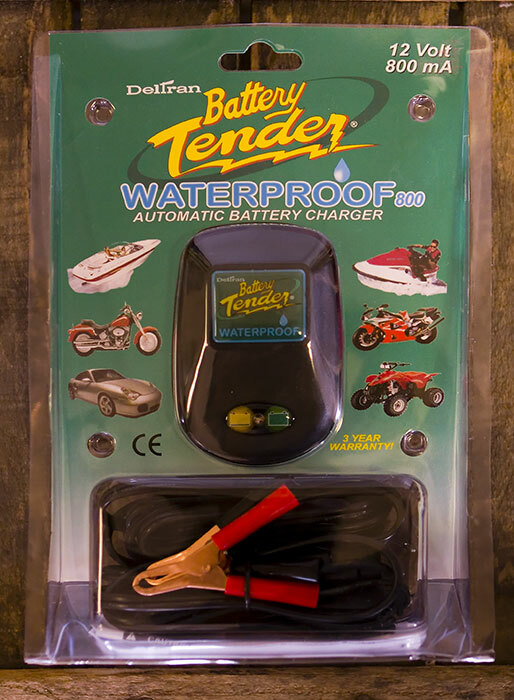 The Battery Tender Waterproof is a 3-step charging system that is 100% waterproof! It is safe to use with all lead acid batteries, and has reverse polarity protection. Size: 4.25" x 2.75" x 1.5"